Hello again 6P! Here I am again with a new article to look at the current state of things. I will go over what I would be using (and what I shouldn’t be using) for Portland if I were going after these past couple of weeks of testing. My last article detailed my beginnings of of testing the format, and I have learned a lot since then. To many people’s surprise, I am in fact not going to Portland. Sooo many people have asked me why this is, as last year I travelled to every North American Regional except for 2. The reason for this is burn out from last season. I would very much love to be packing my bags soon for the tournament, but having learnt a valuable lesson of balance from last season, I’ve chosen to limit travel to once per month. With that in mind, I’ve chosen Memphis as my tournament for October. Even though the Day 2 and overall Top 32 finish left me wanting more success, I really wanted to pace myself this season in order to have a better life/Pokémon balance. And this is the same reason as to why I will not be going to Roanoke either, I have chosen Brazil as my November trip. I will usually give priority to the Internationals when deciding where to go, so any month that has one will definitely have me going there. Every other month though, will have me at a different NA Regional. With the current calendar of events, I will certainly be coming back to Expanded for the Anaheim + Dallas combo towards the end of the year and with a brand new set to consider: Lost Thunder. If for some reason something changes then I will definitely contemplate a different plan, but for the time being I will definitely not be attending Portland. However, that didn’t stop me from testing Expanded a bunch since a lot of the people that I coach are going. After these few weeks of trying to figure out the format, I settled on these 2 decks as my ‘I really want to play this but shouldn’t’ option and my ‘I should play this’ option. Most games will be decided on Turn 1. Going second definitely means this deck will have to work a lot more for its wins. However, going first, you will likely lock your opponent out of the game by simply not letting them do anything. The ideal scenario is to use Shaymin-EX’s and Marshadows in combination to draw a lot of cards and set up a Glaceon-GX active. You will be aided by Sky Field and the plethora of Ball cards to accomplish this. In the meantime, eventually you will want to use Delinquent after a Let Loose, in order to leave your opponent with only 1 card of their choosing in their hand. Usually this will be a Supporter or VS Seeker so that they can draw cards next turn. And so, the last piece of the puzzle is Tormenting Spray or Peeking Red Card. I’ve found both to be useful in different situations: Peeking Red Card is usually better if you’re going first as the game won’t have developed at all and thus your opponent is likely to keep a Supporter in their hand. However, if you went second and your opponent had a turn to develop their board state, Peeking Red Card is more valuable as they might be holding on to a VS Seeker which Tormenting Spray can’t target, but Peeking Red Card can shuffle. There is an inherent randomness to the deck as games might come down to your opponent topdecking and recovering from the lock. Usually though, if turn 1 went well, by the time they top deck it’s a little bit too little too late. Bent Spoon: This card protects your Glaceon-GX from an opponent that started Drampa-GX and thus would make it a bit harsh on your DCE’s to KO it. It also prevents random Bubble’s or other Status Conditions from slowing you down. Assault Vest: This is an overall utility card which reduces damage greatly from any DCE or Strong Energy attackers. Your opponent will definitely struggle to even get one attacker set up, so reducing their damage to build an even greater advantage is a good idea. Mewtwo-EX: BuzzRoc still seemed very strong to me in Expanded, and a single Buzzwole-GX with 1 energy can put a decent amount of pressure on you to the point where you want a Mewtwo-EX to help deal with it faster. It also helps hit different numbers that Glaceon-GX might not be able to against Pokémon that your opponents manage to power up. There’s a reason I expect Sudowoodo to show up in every single deck at Portland—and this is it. 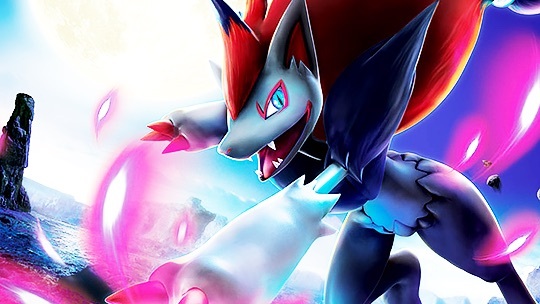 Despite that 3 of the 4 cards recently banned from Expanded were staples in every Zoroark deck, the deck is still able to adapt in order to be a force to be reckoned with. Zoroark-GX struggles in Standard against Fighting type decks because Zoroark’s are sitting ducks that don’t accomplish much offensively and thus have to rely on their partner Pokémon and/or disruption to beat them. However, Expanded is a different monster and Zoroark-GX is a huge offensive threat on its own. We’ve already seen Alolan Muk paired successfully with Zoroark back in Dallas Regionals of last season, and we’ve definitely seen Magcargo be paired successfully with it too. Both of these Pokémon combine in order to help Zoroark maintain its position as one of the decks to beat at this upcoming Regional. Magcargo’s usefulness is very obvious, allowing you to make sure you won’t whiff at least 1 of ‘x’ pieces you need for any given turn. Rather than playing Colress and hoping to hit ‘x’ amount of cards, Magcargo means you hope to hit ‘x-1’ cards, as you are guaranteed 1 of them. Alolan Muk might be a bit more obscure, but it all revolves around countering the counter, aka Road Block Sudowoodo. The card on its own greatly limits Zoroark’s offensive power and thus must be answered. Hex Maniac was the response before, however that card is no longer usable of course. Other key cards included are 2 Field Blower, as I do expect Garbotoxin Garbodor to show up in full force, and therefore having these to reactivate your Abilities is pretty crucial. Dowsing Machine over Computer Search is an attempt at making up for the BIG loss that was Puzzle of Time. Of course it’s not perfect, nor is it anywhere near as powerful. However, it definitely carries a lot more weight now than Computer Search. Finally we have Oranguru or Bunnelby, both cards trying to cover up for the loss of Puzzle of Time but also anti-deckingout measures or in the case of Bunnelby, a potential out to decking your opponent out. The Fighting weakness is a big detriment and usually the matchup can boil down to ‘how far ahead’ Buzzroc is in order for you to recover. If they only manage to take 1 prize (or 0) before you stabilize your set up, usually you can keep up with the OHKO’s, especially thanks to the BW Zoroark. However, if they’ve already taken 2 prizes through Jet Punch before you take yours, it’s very hard to recover unless an N makes them brick. This deck can be quite troublesome with its 4 Parallel City, Garbotoxin shutting off your Trades, and Drampa continuously using Righteous Edge to get rid of your energy. Before Alolan Muk was included in Zoroark, the way to shut off Sudowoodo was Hex Maniac, but you couldn’t play Colress to find a Blower or other pieces and Hex in the same turn. Now with Alolan Muk that is not an issue, as once you find that Field Blower, Sudowoodo stays shut off anyways. This deck got significantly weaker now that you are always guaranteed at least 1 turn outside of the Item lock. Between weakness KO and staggering your Zoruas to prevent a big Espeon-EX turn, this is usually a favorable matchup for Zoroark. Another useful tip for this matchup is purposely benching Exeggcute once they are going to use Silent Fear. This will net them prizes, but also prevent Ace Trainer or Counter Catcher plays, and make their Ns less effective. Much like its Standard counterpart, the matchup usually works out to whomever gets the first 2 prizes wins. However, with Field Blower and Alolan Muk, you have a great way to prevent their energy recovery by removing potential Wishful Batons and preventing late game Stormy Winds. This matchup depend on their array of attackers, but usually it’s really hard for them and very easy for you to achieve OHKOs. Having Alolan Muk preventing their Exeggcute Propagation and Keldeo’s Rush In will also make it harder for them to play the late game as they have less options and strain their resources. Alolan Muk shutting off any possible Marshadow-GX play means their attackers will really struggle to deal with your Zoroark’s, and you can easily OHKO their EX attackers. Picking off the Malamars is of course key to controlling the matchup. Once again, Alolan Muk shines in this matchup where it prevents Steam Ups and thus the only attacker that can OHKO a Zoroark-GX is a Ho-Oh with a Choice Band. However, it’s much easier for you to stream Zoroark’s to take OHKO’s back to back than it is for them, and thus you should win the exchanges quite easily. This is the one big matchup that was heavily hit by the loss of Hex Maniac. With no way to stop their Octillery or Gallade, it’s much easier for this deck to stream attackers thanks to Octillery and Teammates. In the exchange of prizes vs Gallade’s you’re always on the losing end, and it’s also impossible to OHKO a Gardevoir-GX. The only way to perhaps try and make this matchup better, along with BuzzRoc, would be the inclusion of Weakness Policy into the list. Both Oranguru and Bunnelby are key cards to this matchup to prevent them from decking you out. However, a good strategy to try and use is Sky Return their Wailord’s continually with Shaymin-EX, setting up 60 damage on them. Afterwards, if they don’t heal then you are able to get a KO. Being very conscious of your resources and usage of Float Stone and Guzma is very important in this matchup, but it’s definitely winnable as long as you are able to continuously counter their Tropical Beach and thus run them out of resources to heal from their hand eventually. So hopefully this article has shown you the pros and cons of each deck. 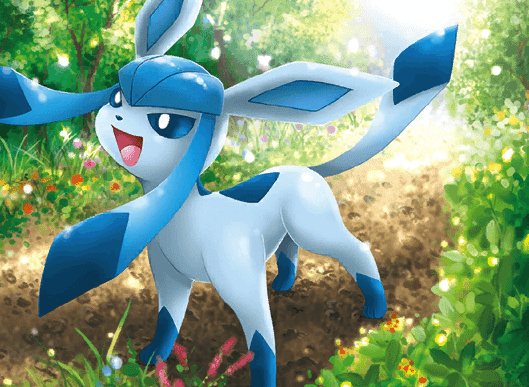 I really wish Mexico had Expanded League Challenges or League Cups because I’d genuinely love to play the Glaceon-GX deck and earn some CP with it. Maybe Anaheim or Dallas could be an option for it. However, for now, I’d definitely advice running with Zoroark-GX as a super solid option for Portland. That’s what I concluded at least after the past couple of weeks of focusing more on Expanded, seeing how Standard is pretty stale until Lost Thunder finally hits. And with that I will conclude my article for today. I hope you enjoyed reading and as always, if you’d like to contact me or ask me any questions, feel free to drop them in the comments section of the article or through any of my social media outlets under the Tablemon brand! Best of luck to all of you going to Portland!